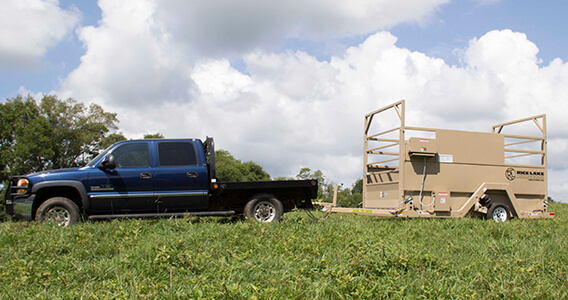 WHETHER THE CATTLE, PIGS OR SHEEP ARE COMING TO YOU, OR YOU’RE GOING TO THEM, ACCURATE SCALES HAS A RICE LAKE LIVESTOCK WEIGHING SYSTEM THAT WILL FIT INTO YOUR OPERATION SMOOTHLY, BE LEGAL FOR TRADE, AND PERFORM RELIABLY. Extremely durable with long lasting accuracy, these load cells are constructed of durable steel and factory calibrated for reliable performance. On-site collaboration is rarely required, and each unit is pre-wired and assembled or hassle free use. 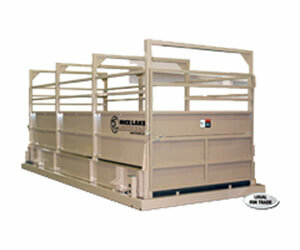 Numerous sizes and capacities are available to choose from, contact our team to learn more about Rice Lake Farm Bars. Durable, animal friendly, accurate and easy to use; these portable scale solutions are ideal for livestock weighing. This scale is great on just about any firm surface up to 6% grade and approved for legal-for-trade use in Canada and the United States. Every aspect of this product is built to last, with all-weather powder paint, rubberized surfaces and locks to hold instrumentation in place during transportation without damage. The larger version of the portable group animal scale. Featuring the same long lasting parts and surfaces, this is a legal-for-trade approved scale for use in Canada and the United States. Fitted with a junction box for load cells and available with optional factory assembly, these portable solutions are easy to use, long lasting and ideal for livestock management. 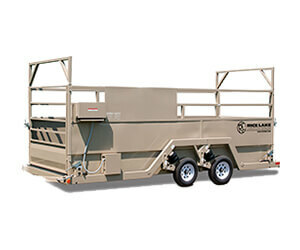 A ready to move weighing systems that is approved for legal trade in Canada and the United States, these rugged scales on wheels are convenient and powerful. Using an independent air ride suspension, the air pressure can be adjusted manually. Coupling this with OnBoard weighing makes the system great in unpredictable conditions. 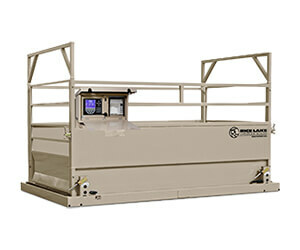 The higher capacity model of the long lasting and convenient mobile group scale, this includes the same great features that make it easy to use and reliable. Approved in Canada and the United States for legal trade. Using adjustable air suspension and the OnBoard weighing system lets you create a suitable weighing structure in difficult conditions. 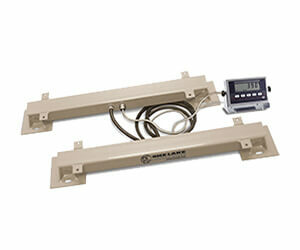 A load cell style weigh scale, ideal for ranchers and processors who need a versatile, legal for trade system. Combining electronic weighing with steel I-beam, the system is highly accurate, durable and available in a range of sizes.